While it's much easier to have a diet centered around pizza and French fries, in reality we all know fruits and vegetables should be our nutritional mainstays. Nearly every diet on the market and health expert you consult echoes the same sentiment: Eat more fruits and vegetables. They're low in fat and calories, high in fiber and loaded with nutrients you need to thrive. Even if you don't like the way they taste, you can still incorporate these healthy foods into your diet. 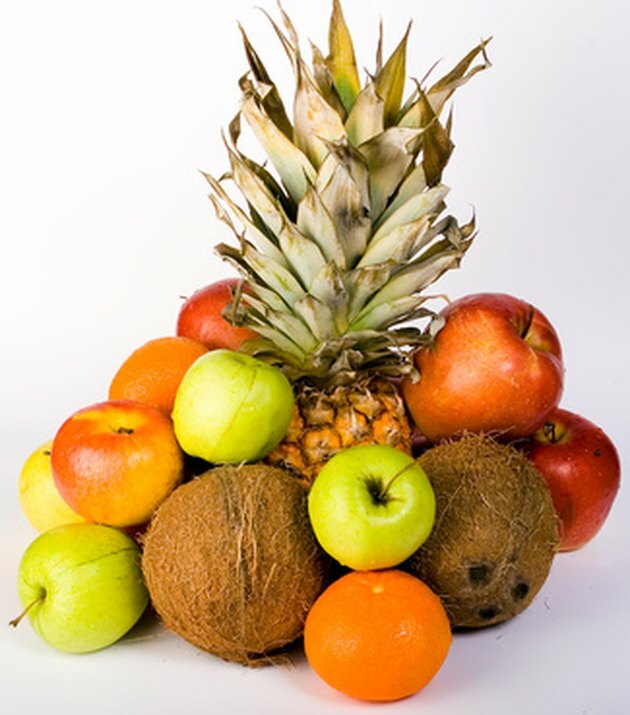 Hide fruits and vegetables in foods you already like. Add shredded fruits and vegetables to cakes, breads and muffins. As they cook down, their flavors will become less intense. Puree vegetables and add them to your soups, pasta and pizza sauces and gravies. Mask the taste of fruits and vegetables with dips and spreads. Peanut butter, low-fat cheese spreads, salsas and bean dips can help mask the taste of fresh vegetables, while yogurt, ice cream, pudding and fruit dips can tame down the taste of fresh fruits. Learn to cook fruits and vegetables in new ways. Experiment with curries, Asian flavors, marinades and spice combinations that make your vegetables taste less bland. Try using fruits in savory dishes like salads and stir fries. Get essential nutrients from other healthy foods. Whole grains, legumes, low-fat dairy and low-fat proteins are also excellent sources of nutrition. Add these foods to your diet to create balance. Don't feel like you must eat fruits and vegetables all the time and in everything you cook. Try smoothies. Add some fruits, vegetables and nuts in a blender with milk or juice to create a thick, creamy drink. While it may seem like a bad idea, naturally sweet fruits allow you to add things like carrots and even spinach to your smoothies without giving them a vegetable taste. Experiment with fruits and cocoa powder or vegetables and a splash of tobasco sauce or alcohol.